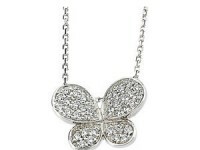 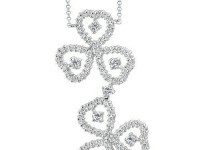 This is a necklace for the true romantic at heart! 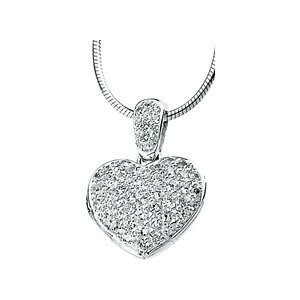 This lovely silver heart locket necklace is fashioned with 59 round, faceted cubic zirconia stones set in a high-polished silver heart. 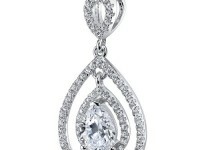 These high quality, clear cubic zirconia stones have both a good cut and good brilliance. 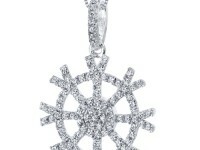 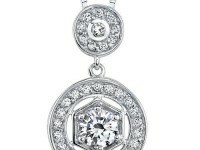 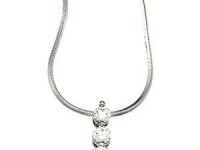 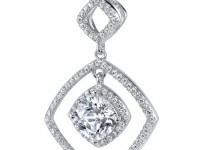 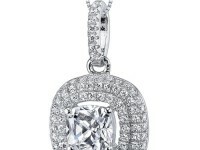 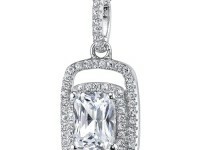 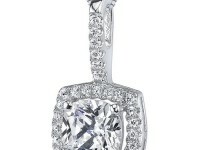 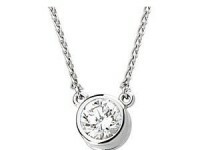 Pendant is set with 13, 1.5mm cz's and 46, 1.8mm cz's. 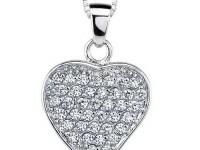 This heart locket, which opens to hold two photos, gracefully hangs from a sterling silver snake chain.